Today Kalk Bay village still has an active harbour and fishing operations, albeit in a much smaller way than before. The village itself has many antique, art and bric-a-brac shops with many lovely restaurants. 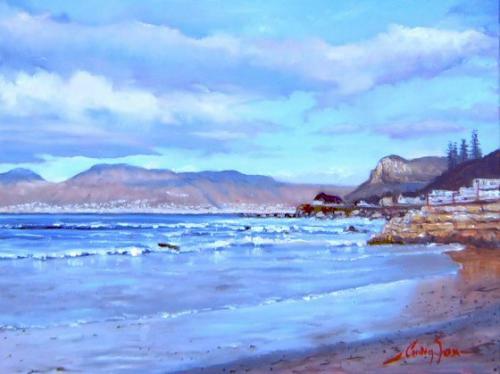 Cardin has captured the view towards Fish Hoek from the Kalk Bay beach which is accessed by going through a walkway under the railway bridge.